Lates niloticus Linnaeus, 1758, Egypt. English: African snook; French: Capitaine; German: Nilbarsch; Spanish: Perca del Nilo. Total length 76 in (193 cm); weight 441 lb (200 kg). Body large, elongate, and robust. Color silvery, with grayish blue along back and grayish silver along flank and belly. Caudal fin and portion of pectoral fin black to dark gray. There are 7–8 spines and 10–14 soft rays in the dorsal fin; the caudal fin is rounded. Free edge of operculum bears a large spine. 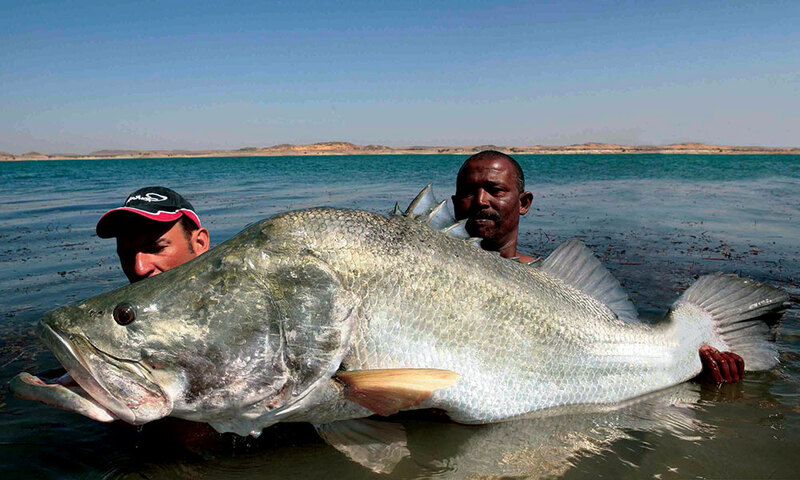 Africa, in fresh and occasionally brackish waters. 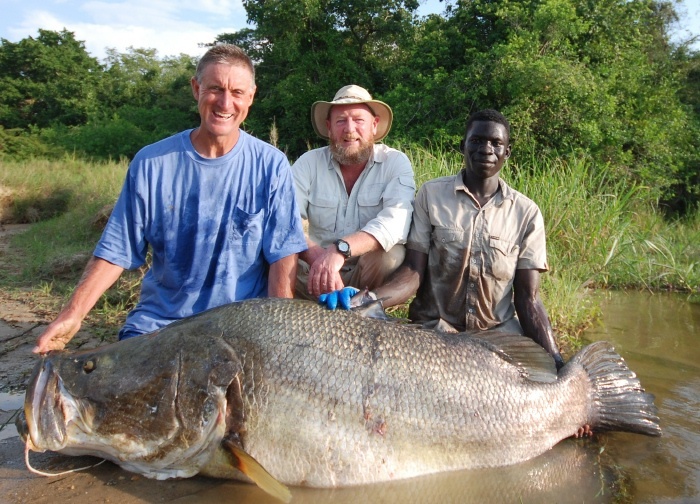 Present in the Rift Lakes of East Africa, including Lakes Albert, Rudolph, and Tana. 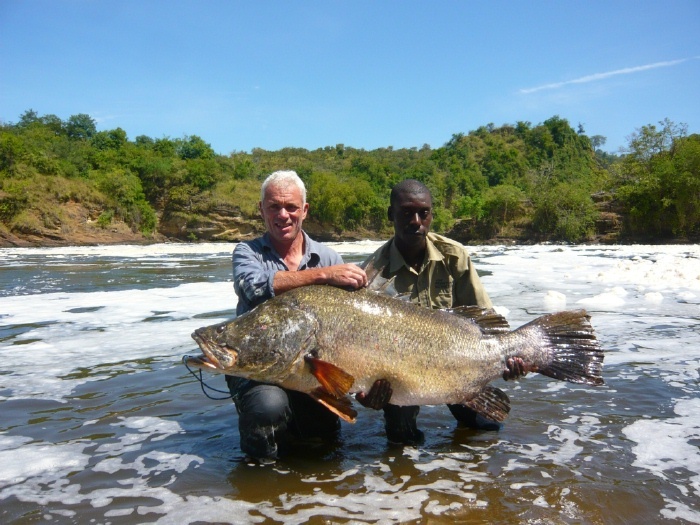 Introduced into Lake Victoria and others within and outside of the region, usually with catastrophic results for native fish faunas. Also occurs in major river systems including the Chad (and Lake Chad), Congo, Nile, Senegal, and Volta. Present in Lake Mariout, a brackish water body outside Alexandria, Egypt, near the Nile River. Large lakes and major rivers and their larger tributaries; also occurs in channels and irrigation canals, brackish-water lakes, and estuaries. 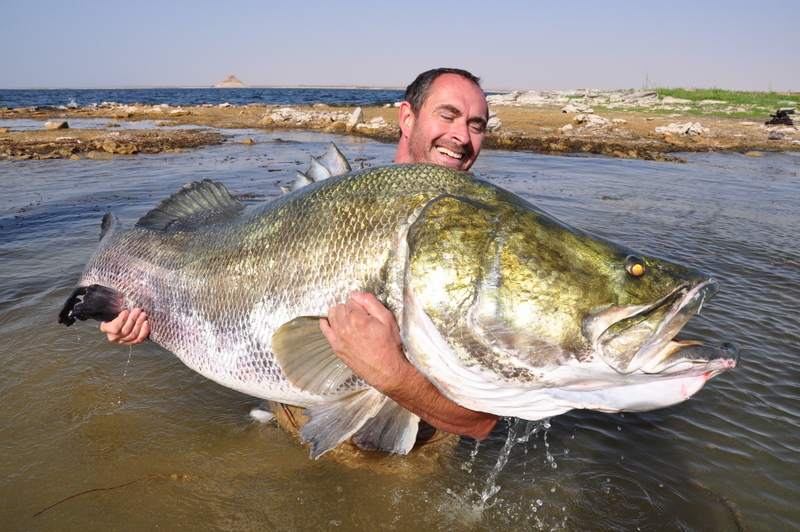 Larger adults prefer deeper water, smaller fishes are found in the shallows. Swims in the water column, but may also associate with structure. Generally solitary. 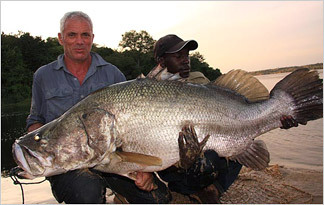 Highly voracious predator of fishes, especially freshwater herrings in its native range, but also of cichlid fishes. Smaller fishes feed upon crustaceans and insects in shallow water. Maturity comes in two to three years; larger females reach maturity later than smaller males. The spawning season varies with latitude, temperature, and type of water body, and ranges from February to November, although shorter seasons have been reported. Presumably migrates to a specific site to court and spawn. Eggs are scattered over the bottom or in the water column, and are buoyant. Larvae are pelagic, there is no parental care. Not listed by the IUCN, but could be vulnerable to commercial overfishing in its native range. An important commercial and subsistence food fish and game fish, raised by aquaculture for food and stocking. Stocking out- side its natural range is greatly discouraged. Introduction of this species into Lake Victoria resulted in the decimation of most of a highly diverse and evolved endemic species flock of cichlid fishes, in addition to the loss of other species endemic to that great lake. Similar effects reported elsewhere.